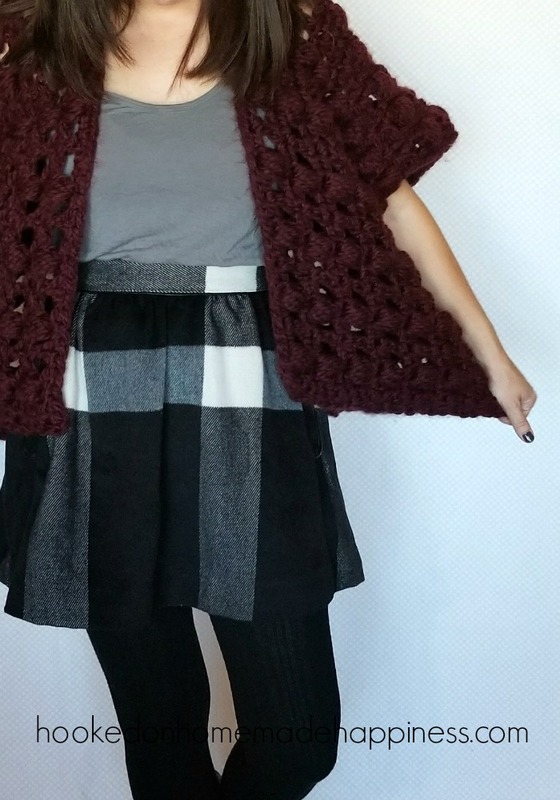 This Puff Stitch Crochet Cardigan Pattern is quick and easy to make. Made from just 2 rectangles! 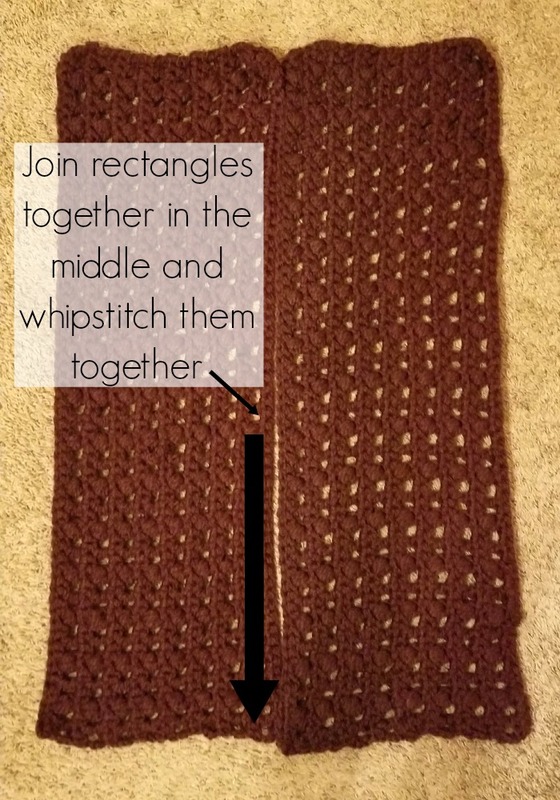 The rectangles are made from a simple 2 row repeat that works up quick. 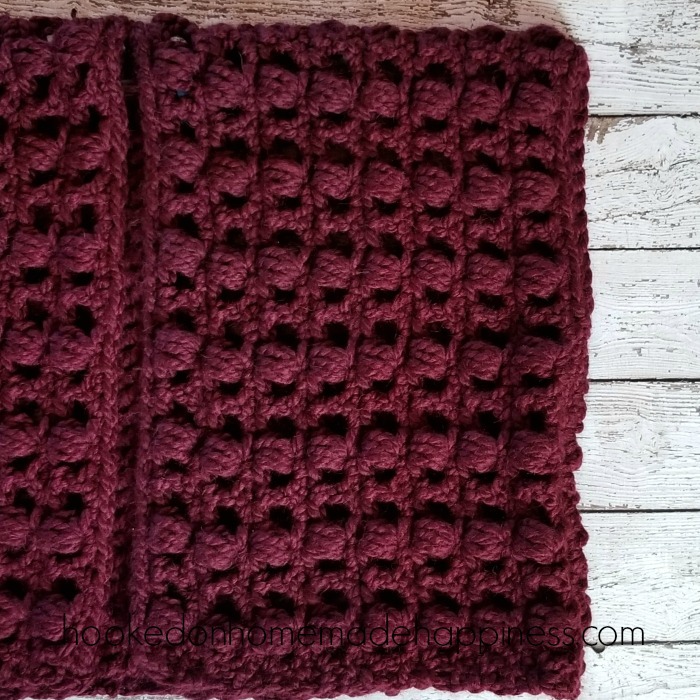 With the puff stitches, this project is a yarn eater and I used just over 444 yards of super bulky yarn. 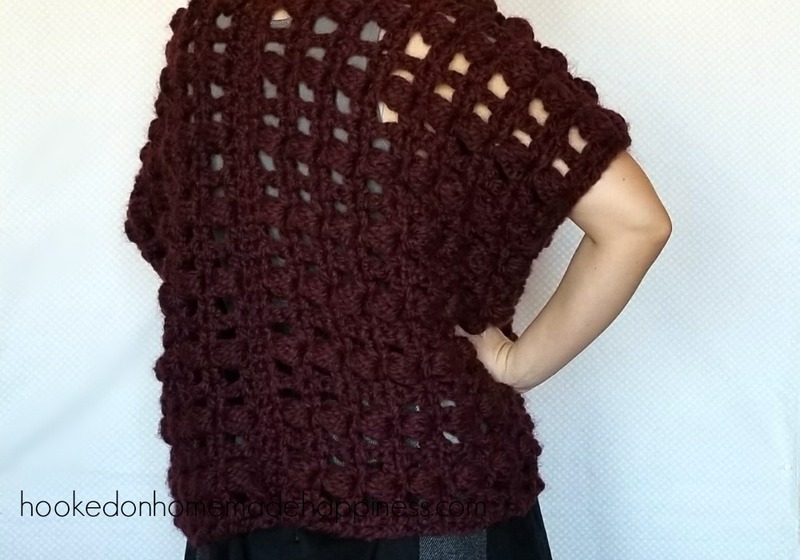 I used super bulky yarn for this wearable, so it’s super warm! 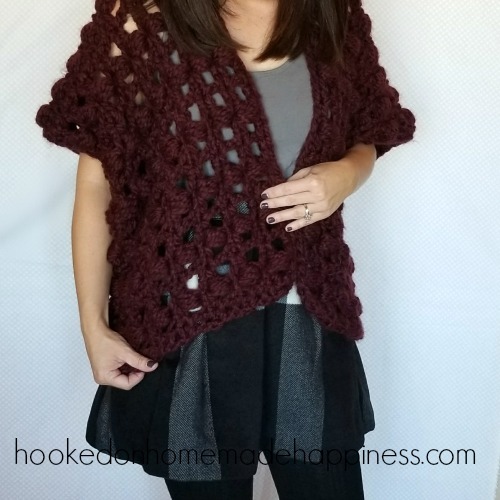 I was able to wear it over a tank, but it would also be really cute with a long sleeve tee and some jeans for colder days. 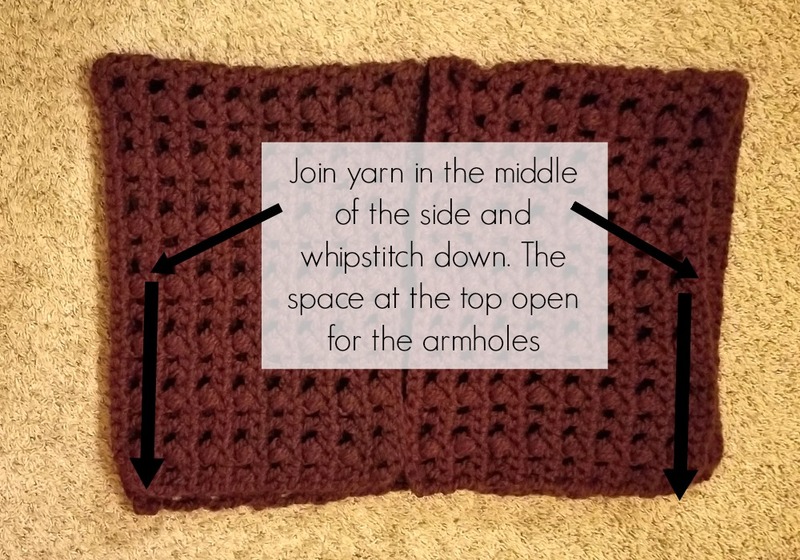 Fold in half, join in the center of the side, leaving a space at the top for an arm hole. Sew the sides together with a whipstitch. 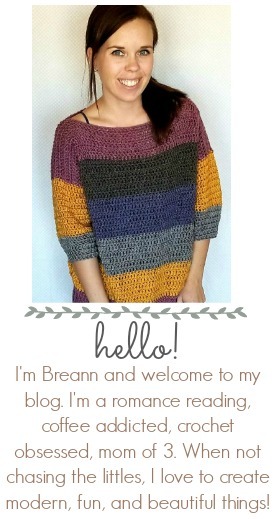 I love this Cardi. Would you be kind enough to tell me what size is on the model? It will help me to decided whether to make the small/Med or the Large/extra lg. 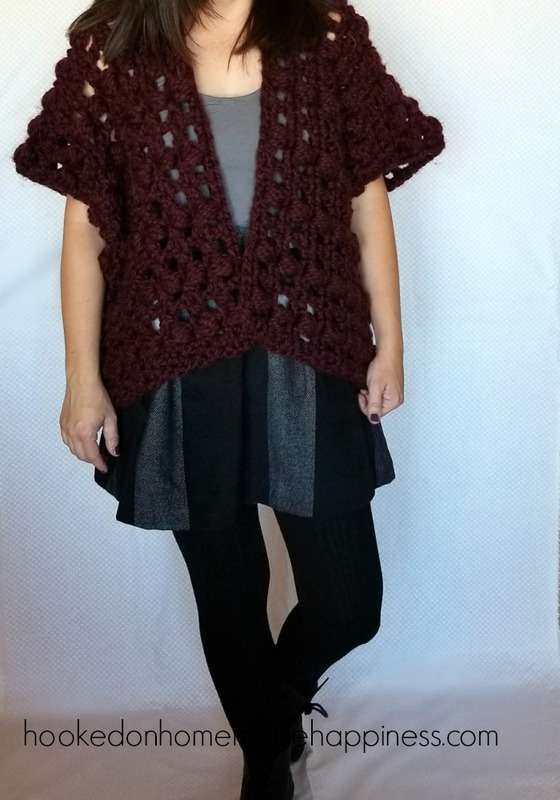 Also, what measurement do you suggest to leave open for the armholes?